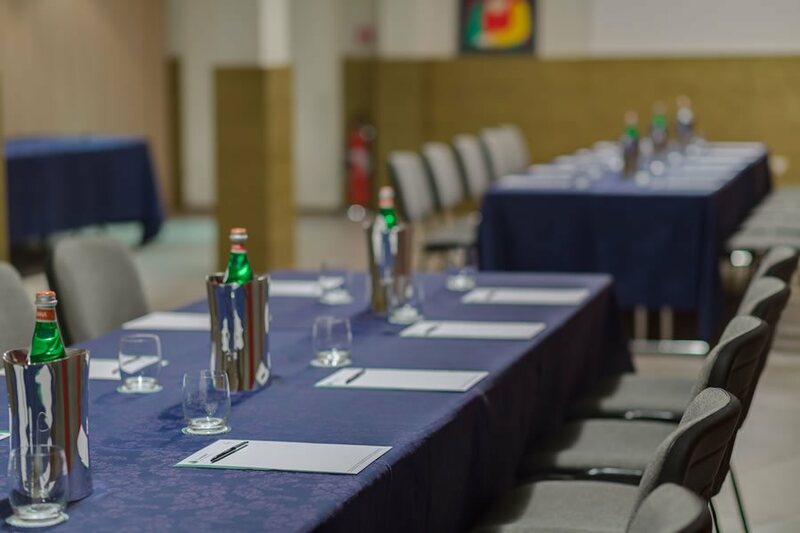 We are the only structure in the area that can accommodate major events in San Gimignano, thanks to conference rooms fitted-out with the latest equipment, staff always at your disposal, the number of rooms and the upscale restaurant. There is perhaps no better place to relax after a convention or corporate meeting. This is our main, naturally lit, auditorium. A 200 square metre modular, soundproofed space, able to accommodate up to 180 people seated in rows. 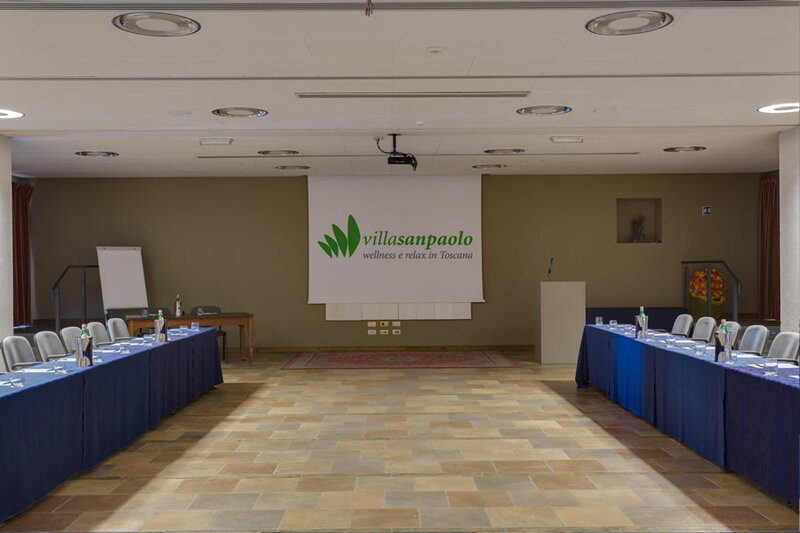 Sala Olivo is located on the ground floor of the main building, “Il Borgo”, next to the panoramic Lampolla restaurant and close to the wellness centre. A smaller, modular, soundproofed space measuring 60 square metres, able to accommodate 50 people seated in rows; ideal for small events and corporate meetings. Sala Viola is located in the main building, “Il Borgo”, on the ground floor. At 43 square metres this is our smallest meeting room, which is also soundproofed and has a seating capacity of 20 people. It’s the right solution for small events and business meetings. 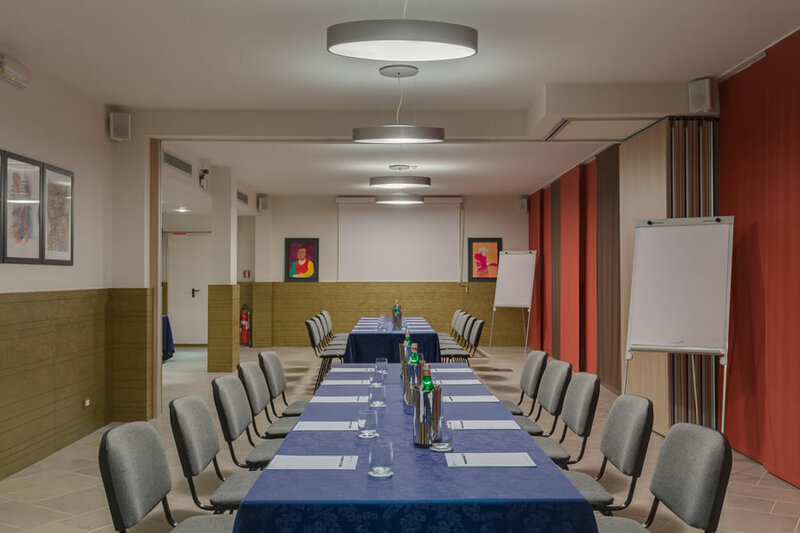 Sala Primula is located in the main building, “Il Borgo”, on the ground floor. We guarantee you full assistance in the organisational stage and during your corporate meeting, resolving any problems promptly. We organise business lunches and dinners in the LAMPOLLA restaurant, with a capacity of 200 people, and on the patio, which accommodates up to 80 people. Lavish buffet breakfast at flexible times, with 'mattina toscana' corner. Inside, cosy spaces where you can experience pleasant moments of relaxation, and outside, a panoramic pool with a pool bar and garden area with tables and chairs. Rooms and suites from 18 to 32 sq. m., with free Wi-Fi, LCD TV, balcony or patio. You can also request room dining. Spa measures 1000 square metres with a heated indoor pool and hydro massage, which also extends outside. Sauna and Turkish bath, Tuscan aromarium, gym, massages and wellness treatments. Florence, Siena, Volterra, Pienza, Montepulciano, Certaldo, Monteriggioni. There are many destinations rich in history and charm less than an hour’s drive away.